Rightrise is monitored by ISA 67th day and there are still 33 days remaining from active insurance. The admin knows what he are doing. He gave 3k PM for 100 days. The script is absolutely unique with lot of accepted e-wallets in USD, EUR and RUB currencies! The investment plan is quite simple, 1~3% daily forever, no principal back option. You can earn a little bit more, there is a booster which can help you, but you have to do so many things, please check the Achievement section for more details. Currently my booster shows 1.14% even after several repurchases and good volume of referrals. Not much, but I like every unique stuff, so thumbs up! And finally this is the first project with search referral function. I am getting many registration requests, so such searching function is very useful for me. Since larawith.me almost every hyip player knows Telegram, guess what I want to say... Yeah, Rightrise has telegram bot as well. You can enable/disable notifications in your user profile on the official website, but I never checked the bot since the default user interface on the official website works well. 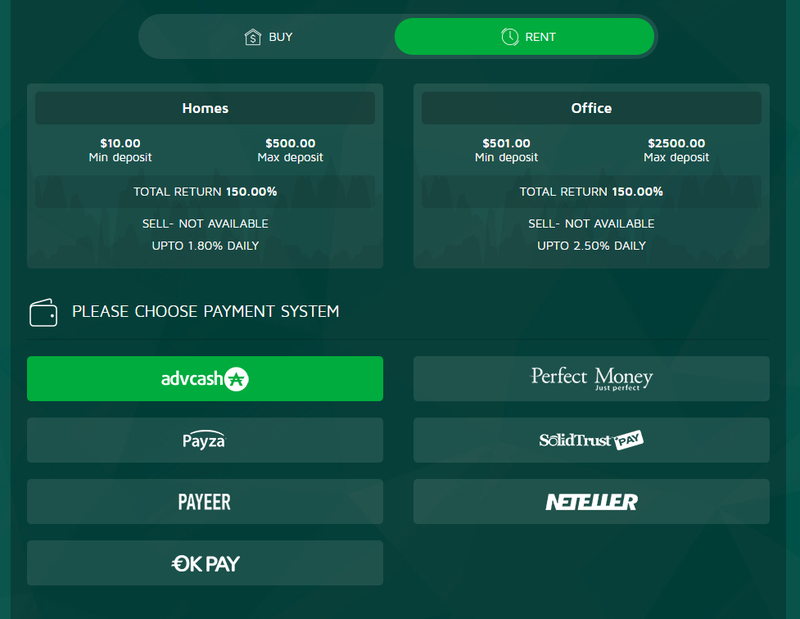 just Payeer and Bitcoin were accepted in the very first days, but now Rightrise accepts Advcash, PerfectMoney, Litecoin, Dogecoin, Nixmoney, Yandex and BTC-e as well. Thumbs up for admin! Withdrawals are processed instantly, but the FAQ mentions 24h time-frame. There is 6-level referral system:10-5-2-1-1-1%, but the levels for representatives are unbelievable high: 25-5-2-1% - once they reached all requirements. This signalizes that the things are going well and I can tell you that Rightrise is very popular among Russian players, so there is no problem with money. Personally I reinvested some times, so I wish good luck for all of us! I am back after 3 months of inactivity on this blog. I have had enough from fast scams and I thought (but still think) that it is not worth to write any review for hyip administrators since even attractive projects can scam so fast. We still can't predict the human factor - so nothing have changed, investors are still the guys who fall. But there are few amazing projects with pretty good results where investors can be more than happy. Back to topic, let me say thank you for administrator of RAZZLETON. The project is monitored for 113 days, but Razzleton celebrates 1 year on the market without any bonus offer this time (I think we do not really like bonuses ;) Razzleton introduced several "after plans" in the past months witch such lengths: 20-40-60-90 days, ROI starting from 500% to 5000%, but I hope all smart players avoided these eye-catching plans. Probably yes, since Razzleton is still there. Thumbs up for admin! Let me say thank you for administrator of XABO as well. The project is monitored for 189 days, but the total lifetime reaches 203 days today. Its investment plan has never changed, so here we can earn up to 5% daily till we reach 150% ROI. Not bad and quite popular. Xabo doesn't have active insurance anymore, but it is good to see that it is not the only factor why to invest and many investors understood this. There are another great projects with not as attractive ROI, but their lifetimes are amazing. POKERADV is monitored for 423 days already without any changes in investment plans. DOWERLY has very similar result. 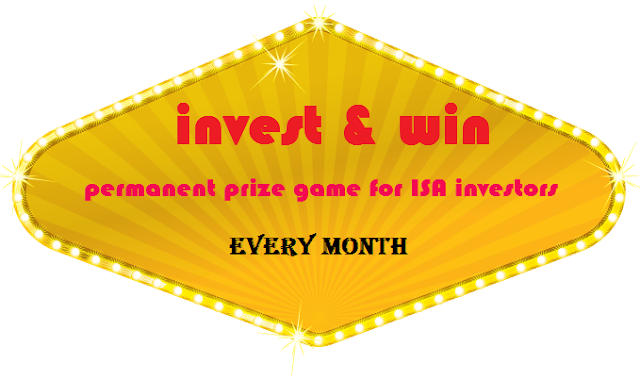 It is monitored for 361 days, but I do not really know when were the new investment plans introduced. These generate higher ROI obviously. I can just recommend to avoid any VIP plan, but not just here, but everywhere! BANDEIRA also deserves to talk about. It is monitored for 283 days, but somehow it is also not as popular as its admin would wish, but the most important thing is, investors who joined these projects did not regret investing! This time I do not really want to talk lengthy about the king of hyips - MERCHANTSHARES, but it is evident that MS is the best and most stable project ever. Many times the daily earnings are as low as 0.25% and deposit/withdrawal fees make this project not as HOT as other trendy and fast hyips. But MS is able to attract serious players - other admins should learn from MS ;) Thumbs up for the administration! Last but not least there are some "new" projects, like ZINC7 with great performance. It is monitored just for 56 days, total lifetime 98 days. We can say that it is not big deal, but in compare with last "C7" projects, Zinc7 was able to grow and became more and more popular. It is also great extra that the admin pays us almost instantly not like last similar projects. Zinc7 pays the highest daily ROI between monitored projects by ISA - 7% daily, total ROI 210%. So now we can say WOW! 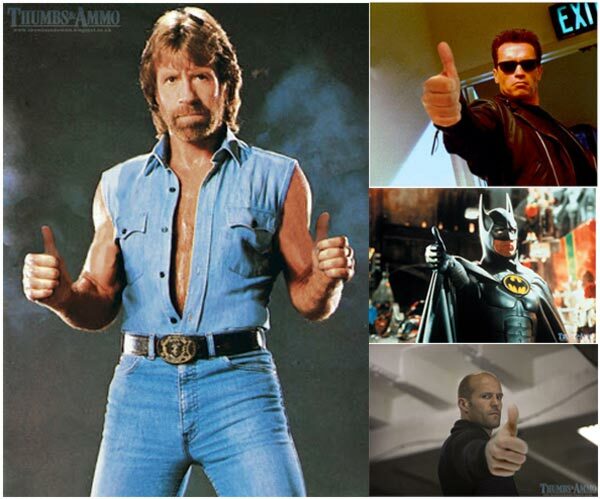 Thumbs up for the admin! This is not an advice to invest, but I like good job so I felt that I owe some positive words for these projects! That's all for today, I will be back more often with reviews if a good project appears. Good luck guys! Satisfaction: pure failure. It became suspicious since the first bonus pack, then we had just 2 weeks till final collapse. GreenTelecom has purchased Reserved 5-star listing on 2/Aug. The insurance is active in next 20 days (800$ PM). - activation of "contracts" takes so long - 48 hours! As I mentioned before, the activation of "contract" takes sometimes 48 hours, which is new for me, not really liked, but thumbs up for each not usual stuffs which differ from GC or H-script standards. I really like GreenTelecom, but invest what you can afford to lose and prepare for the stronger season in autumn. Good luck! As you noticed almost all new projects have collapsed in the beginning of summer, so what we can expect till the end of the season? Nothing good, maybe there can be 1-2 better projects in August; probably stronger trend can born in September. 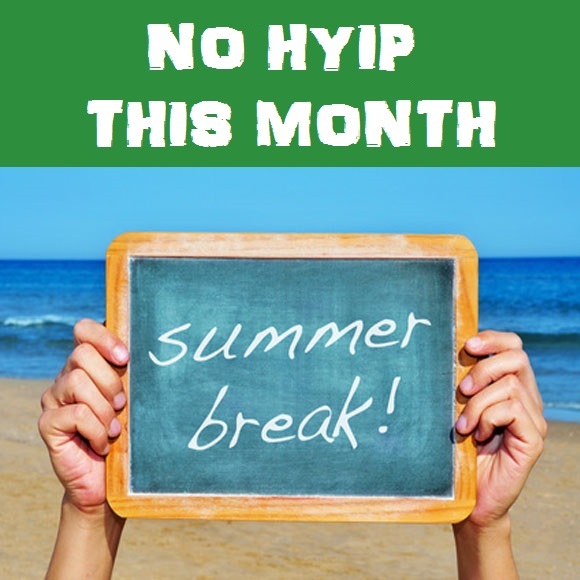 So many investors decided to stop playing hyips till the end of summer and they decided well. The hyip community is not so big (per dominating languages) and the players usually invest just in the beginning, so no new project can last long if the admin doesn't have any strategy. It is not worth to play even new "sleepers" - which are usually run by amateurs who think that it's enough to buy GC script, then "Incubator" and they will receive attention and money. Alexa shows negative trend in popularity of hyip blogs and monitors underwriting the mentioned things above. I also decided to not deal with classic hyips in these times which can offer just an investment plan and have a template (admins without creativity). Dead season, what to say... - but it happens sometimes during the year - or many times if there are usually just "cheap admins" without leader projects. I hope the situation will normalize again, probably after this summer. Last, but not least, let's talk about losses comparing ISA and other hyip monitors. I would like to show an example from previous scam wave - Cryptoeice, which lasted just 6 days (including one weekend)! In reality just 3 days (weekend, day one). I just wanted to show that using high RCB monitors in these days is absolutely wrong choice even those offer "the highest RCB". I also would like to warn you regarding insurance on other sites. It seems that it became trend to offer insurance, almost every second hyip source started to offer insurance. But while I provide transparency, they just talk about it and make fake stats. 5) how easy to hide some big requests to keep the rate attractive? Non transparent work - cheating. So here you are in the best place where each investor counts! The most important thing regarding insurance: do not choose any hyip just because it's "insured". Check how creative the admin is, check investment plans, referral system, e-wallets and then try to imagine that other investors are going to like it or not. Even such basic thoughts can bring better results than "insured? invest!" analogy. Enjoy summer, holidays and prepare for restart from September ;) Good luck! Daily plan: 6.8% daily on business days for 30 calendar days. Average ROI: 136% or max. 142.8% if you invest on Sunday (but not 150% as it is stated on the pages of Miaroi). The principal is included in daily payments. After plan: 108% after 7 days. (1.14% per day - so not high ROI). The principal is returned with profit on expiry. The deposit range is identical at both plans: $10-60k. As you can see there are more dislikes than likes, but I still think that Miaroi isn't cheap project and can bring for us some profit if we invest reasonable amounts. The summer season is so weak, this is why I really recommend to play with low amounts. Then autumn will make the game more interesting or "risky", because so many players will join us again in autumn. 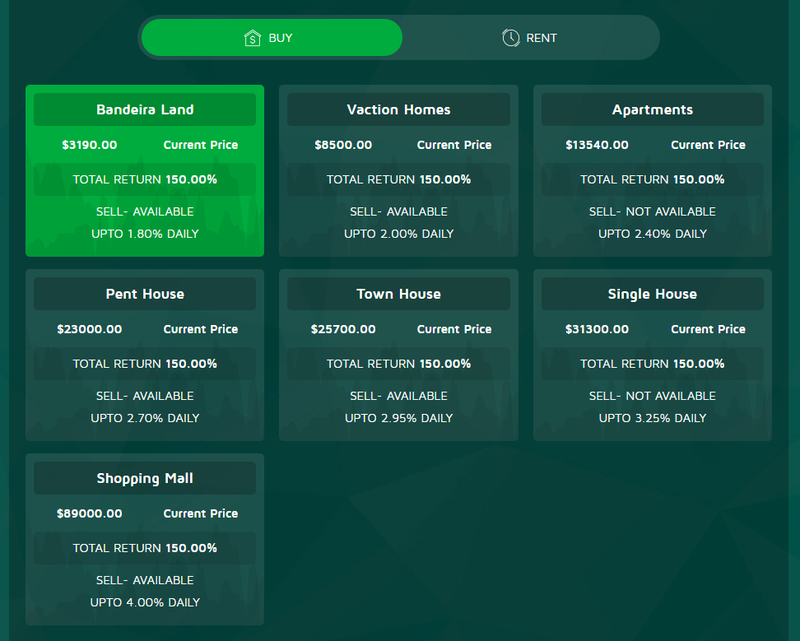 Xabo has purchased Reserved 5-star listing on 12/Jun. The insurance is active in next 20 days (600$ PM). Xabo claims that their income comes from selling cargo spaces on ships of all major companies in the UK and some other countries. The template matches with the story, even the "launch picture" in the news section nicely reflects/underlines the story of Xabo, so thumbs up the staff. Xabo offers 150% return on investment max. within 50 days or just 30 days in case of higher amounts, where the "booster" takes effect. The minimal investment limit is as low as 10$. The booster becomes active at investments higher or equal to 1,000$. The lowest booster is x1.05 and grows up to x0.50 depending on invested amount. So we - basic investors enjoy the default daily earnings, which is absolutely not bad - around 3% daily. You can have extra income by referring new investors as well. Xabo has 3 default levels: first 7%, second 3%, third 1%. Representatives can earn 10% from the first level, which is quite attractive income, but it isn't everything. I've never seen such feature... We can buy/unlock even the forth level just for 20 bucks. Is it worth? If you have so many referrals, then the answer is, yes. The administrator of Xabo talked about several things which will be developed, integrated into webpage, so I am sure, investors will starting to love Xabo. Early investors will be more than satisfied and if they will show profit proofs, it should generate higher interest from investors even through social channels. Allinol operated with type of investment plan until the last redesign and changes. I won't talk about old investment plans, but the ROI remains almost the same, just the rate of daily earnings has been changed. Now you can earn 5% ~ 5.5% ~ 6% ~ 7% daily for 30 business days, where the principal is included daily payments. Min. ROI: 150%, you need 20 business days to reach the BEP. And there is one "after plan": 111% after 7 calendar days. Allinol has 3-level affiliate system: 5-3-2% which probably doesn't generate push effect, so there is a chance to enjoy the earnings longer at such "controlled outflow". I really wish to see Allinol here even in 2017, fingers crossed. If you like Allinol, join with healthy amount to keep it alive as longer as we can! OUTDATED:BusinessAngels has purchased R5 listing on 27/May. The insurance is active in next 20 days (600$ PM). Here you can earn on business days forever or as long as BusinessAngels is available. You start from 1% which will grow every day by 0.5% until you reach 4% daily. Then the growth will stagnate, but 4% daily is absolutely enough, I think you agree. And once again, forever means that you can't withdraw your deposit. - BTC deposits are converted at 450$ rate, which is ridiculous these times. More modules uses BTC currency, but investment plans are credited in dollars... big dislike for admin, mainly because he has good programmers. BusinessAngels meets high industry standards, but the fact that it will be successful depends mainly on investors. No problem will happen while they invest reasonable amounts, but if they will invest crazy amounts, the game will starting to be more risky, mainly because paying 12% from high amount + daily outflow are the biggest stress-factors for admins. So if you like BusinessAngels, play it safely and enjoy your earnings! Satisfaction: not satisfied! All investors knew who is the admin and deposited so much money in the shortest plans. Hit&run style, no natural growth. Coinsage Limited has purchased R5 listing on 25/May. The insurance is active in first 20 days (600$ PM). The investment plans are simple "after plans" starting from 2% daily for 7 calendar days (114% ROI, 10-199$ deposit range) and ending with 6% daily for 42 calendar days (352% ROI, $15k-50k). Just the amount of deposit defines the length and ROI. The principal is available to withdraw on expiry. Coinsage has 2-level affiliate system. First level: 5%, second level: 2%. No representative option at the moment. But telling the truth, representatives are no longer effective way at hyips to attract more people into game. Promoters do the job even without extreme commissions so enabling representative RC means higher outflow for nothing. This option helps just at giant projects, which are soo rarely. As I said the admin of Coinsage is great, but the money is the most important factor which comes from investors. 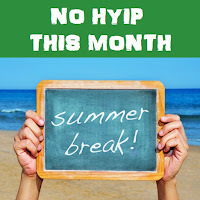 If they can't play hyips, then me or the admin can't help. The project needs continuously growing inflow the reach good lifetime. If you like Coinsage, then do not hesitate and join. Satisfaction: not satisfied! There were some greedy investors and groups who invested so high amounts. As a result the game has been ended prematurely. I wish to teach these guys since they break the game for all of us. The admin needs continuously growing inflow to keep the project alive and not inflow waves. "Big investors", keep it in your mind. Cryptostability has purchased R5 listing on 8/May. The insurance is active in first 20 days (600$ PM). Nothing more, nothing less, Cryptostability is the hottest project currently. It reached the 2nd place on ISA just in 5 days and now it takes the first place in record time. How it is possible? Cryptostability is highly liked by investors, that's simple. The principal is not returned on expiry! As you can see, just the basic e-wallet trio accepted, but the admin is working to bring Advcash, STP and Payza. At the moment these e-wallet modules are enabled in profiles, but remains inactive for depositing. Hope the admin will able to deal with support of these e-wallets. The referral system is quite attractive: 6-3-2-1-1% for investors and 12-6-4-2-2% for representatives, which is so high I think. The official start of Cryptostability was so strong, the most expensive monitors were hired. The inflow is perfect at Cryptostability, so I hope that the admin can handle the situation and will do necessary steps for further growth, and will follow giants like Amazing5 or Capital7. I wish good luck for all investors! Satisfaction: not satisfied, but it was expected since its long investment plan had principal back option. The admin took down the site at first expiration wave and made it difficult to share the available insurance. Agilital Inc. has purchased Reserved 5-star listing on 29/April. Initial insurance: 20 days (600 PM). The investment plan doesn't offer fixed earnings. There you can earn 60-90% profit-sharing daily for 120 business days. The principal becomes available to withdraw on expiry. The minimal daily earnings are set to 0.4%, maximal - 2% (rarely, just at higher amounts). I think Agilital is not so popular project due to low ROI and long term, but was PokerAm popular in first months? I don't think. So I really hope that the admin of Agilital will introduce some good news, extras to push the project ahead. 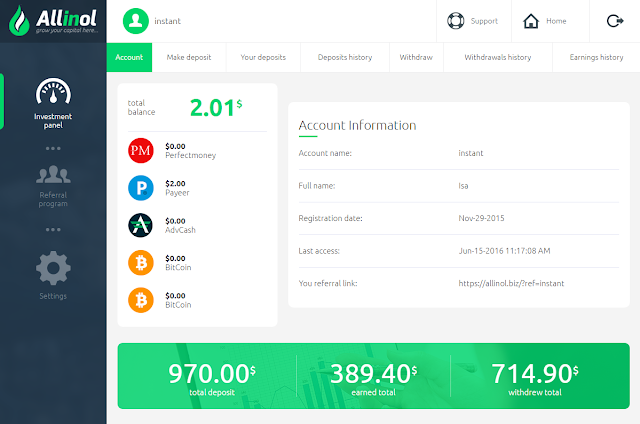 By the way withdrawals are processed within 12 hours on business days, 24h on weekends. If you would like to get RCB from me, do not forget to include your ID (username). In this case I can identify your referral commission since there aren't classic user names. Most of RCB players put their ISA-usernames in RCB form which is not correct - so be careful. Currently I started to offer 7% referral commission back to my investors since I have more than 15 active investors. Just for mention, the basic level starts at 5% - up to 6 active referrals, then 6% - till 14 active referral and 7% from 15+. It is good motivation factor for promoters to keep the project running. Great news: The insurance period has been extended till first expiration - 120 business days (15/May). Some guys see speculative intention, but which admin made such offer? I can't remember. So I can say that the admin of Agilital isn't greedy like some crazy "administrators" (I prefer another word), so thumbs up for Agilital. Cryptonus has purchased Reserved 5-star listing on 1/May. The insurance is active in first 3 weeks (1000$ BTC). I waited one week with publishing this review - to get my first earnings, so finally I can move Cryptonus to Paying officially. When you deposited, send me the screenshot about the transaction, where is visible the text, your e-wallet ID and time/date. I will store these details during 3 weeks, while the insurance is active. In case of negative event just these investors will be entitled to get compensation, hope you agree. I can say nothing how popular Cryptonus is since there is no referral program, but I am not sure that weekly earnings can be so attractive. This is why I hope that the admin will introduce some good news, extras - to push the project ahead. Dear friends, partners and investors! Let me announce the latest news on Cryptonus project. We have invited experts in the field of IT security and moved our site to a new, completely secure, dedicated server. Now all the information is inaccessible to the frauds' eyes and hands. It is impossible to gain access to any of our payment information, nor to our wallets. Unfortunately, the events of recent days - a significant part of our cash removal, a campaign launched against our project on the forums led to extensive loss of both our reserves and current revenue. Over the past days, frightened investors have taken from the project more than 50 000 dollars. But the most important thing is that we survived, in spite of everything! Now as we have moved to a new platform and protected themselves from further attacks, we have come to a long and difficult period of recovery after all shocking events. We announce the period of the next two months (until September, 01) as Cryptonus RECOVERY PERIOD. We must say now the most important thing - all the debts will be fully paid to the investors. We do not consider any restart of the project, discounting or other non-option commitments. It can not be solved overnight, or even within one or two days; it will take some time. But we ask to take it quietly and with understanding, especially those who have come to play a long game. On the final output to the normal schedule of payments, we need exactly one week. Many of our investors have made it clear that their plan is not to withdraw their money from the project and they are ready to reinvest for the long term. For these investors, we introduce the concept of auto-reinvest. I will not only help to save the commission for endless shipments of money back and forth, but also make operations easy and remove the extra load of the project during its recovery. The most important task is to restore the balance of cash-ins and cash-outs and creating a project reserves in the shortest possible time. Of course, you will notice that it is the task of the admin and depends on its advertising activity. But, in fact, no one can present and promote the project better than its investors. Investors words and opinions always inspire confidence and look convincing. We are improving the terms of the action "Invite a friend". 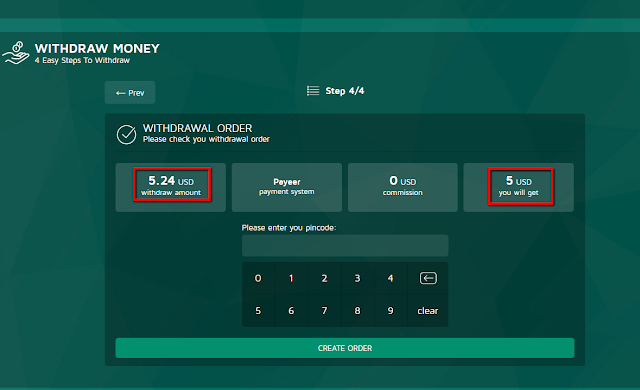 Now you will get 5%, not only from the first deposit but also from all subsequent deposits of the friends you invited. As long as the process is not automated, the bonus will be calculated at the end of each month and paid in cash. In addition, we are launching a Fifty-Sixty action. Starting from 08.07 we will place first 50 deposits to the special plan of 160% ROI. Cycles: 1.5 if I do not count "after plans"
Satisfaction: satisfied because I have negative experience of sport themed hyips and got scared after first crazy deposits, but the admin was able to run it longer than 10-15 days and finished the first cycle. Betstar isn't new on ISA. Its first listing category was Premium with Sticky position and 1K insurance - 5/April. Betstar was rolled back to Premium when the Sticky has expired. Then the admin decided to upgrade to Reserved 5-star section (30/April) and I approved his request. The current insurance expires on 19th of May (600 PM). 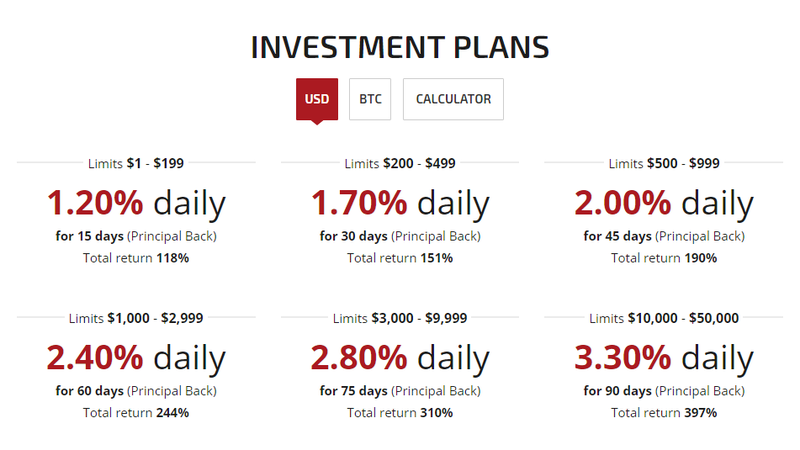 1) daily plan: 5% daily for 30 days (10-499$), - up to 8% daily for higher deposits. So the minimal ROI is 150%, max. 240%. The withdrawals are processed manually, the official timeframe: 24h (FAQ), but we are getting paid sometimes in minutes, which is a good sign - nobody likes waiting long in this speedy world. The referral system was set to "medium", you can earn 5% from deposits of your referrals. Active deposit is not needed to qualify. It is good to see that the administrator of Betstar is working continuously and bringing new extras since I published the brief description on ISA. Recently were added language mutations (RU, DE, ES, ZH), promo video - which will be available in German language as well, and Bet-history page, where you can see results on bets. The industry needs admins like Betstar to keep the positive investing atmosphere. Many admins are not aware that they affect the industry with fast scams and then they complain that there is a low inflow when they are back with new projects. So thumbs up for Betstar's admin, but invest only what you can afford to lose! Bandeira Construction (BC) has purchased R5 listing on 10/March. The insurance was already returned to admin after first 20 days (500$ PM). It was clear that no negative event will happen during the insured period since BC meets high industry standards. If you are familiar with script from Goldcoders and H-script then you will recognize both scripts in one. I do not really care that the final script is licensed or not, thumbs up for the coder! There is one advantage, you can sell your investment anytime. There is a market created for this purpose, find the button from left-side menu in your account. I am not sure, but probably you must wait for a buyer in this case and your investment isn't purchased back by the system automatically. If you have another experience, please contact me and I will update the review. So, there you can reach 150% slower in compare to BUY/SELL, but most investors are choosing this investment plan. The source currency of my deposit is PerfectMoney, maybe this is the reason why I can't withdraw the accumulated referral commissions to Payeer, even I tried lower amounts than the available money. So there are remaining more things to fix, but I can say that the developers made really outstanding job, BC desires R5 branding on ISA. By the way withdrawals are processed manually within 12-48 business hours, but usually within 5-10 hours. I think that BC will reach great lifetime, since the project needs more time to convince wider volume of investors. Do not forget, invest only what you can afford to lose. Romball has purchased Reserved 5-star listing on 12/March. The insurance is active in first 20 days (500$ PM), which was already returned to admin. I am glad to see that more and more stable projects join ISA, so the insurance is not needed at all. All plans come with principal back option. This option is not really liked by me, but it doesn't mean problem for pro administrators, like now in case of Romball. Romball has 3-level referral system: first 7%, second 2%, third 1% - which is perfect for promoters to extend the lifetime of Romball. Few years ago I thought that high % RC reduces the lifetime in general, but promoters love high commissions (10% is also fine), so such projects can reach even longer lifetime than projects with low RC, e.g. 3%. By the way no active deposit is needed to withdraw referral commissions. I wish good luck for each active investor, but invest only what you can afford to lose!